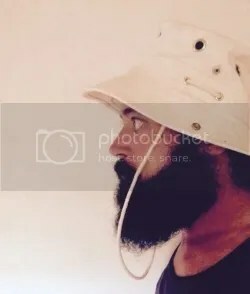 Paris based Willie Cortez has been on Bloggertronix’s radar for quite a while, firstly with his project Seppuku Paradigm created with his brother Alex, and then later with his work on horror movie soundtracks ‘Martyrs’ and ‘Red Nights’. Over the past year Cortez has been working on and releasing new material, including a killer video for the new track ‘Note to Self‘, which is available as a limited edition 7″ single. This mini ep release is home to 4 tracks that are as raw and real as they come. Recorded in a garden at night time, during a stint in the south of France this summer. Rough around the edges, totally off the cuff and lo-fi, these tunes are lovely…and quite a change from the super produced tracks of his past releases. Of particular note are the tracks ‘Unfinished’ and ‘About time’. ‘Unfinished’ has a great southern Americana, plod along vibe and sports some deadly vocals that mirror that of Yoni Wolf of Cali based ‘Why?’….great stuff! ‘About time’ features a soft vocal bed that is slowly built upon to hit a roaring solid wall of guitar sound…a throw back to those horror movie soundtracks Cortez released a few years ago. If you’re a fan of Pavement, superchunk and My Bloody Valentine check this release out…stream or download for free below. Late last week sound explorers ‘African Ghost Valley’ dropped their first tape release, with Paris based experimental music label Hyle Tapes. The four track release features more of AGV’s signature eerie sounds…drones, spacey vibes and deep tones. Press play, sit back and let this duo take you on a super, future, sound journey! 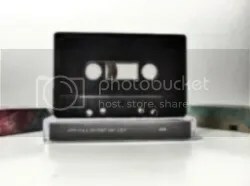 The release not only comes on limited edition tape, but is also available with free streaming or as a digital download. Buy the tape at the link below and stay tuned for more releases from African Ghost Valley. YES! KILLER NEW EP FROM BLOGGERTRONIX FAVE, MC ‘OPEN MIKE EAGLE’! 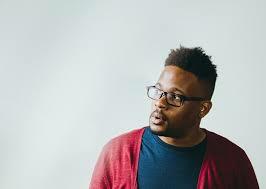 It’s been a couple of years since we wrote about Open Mike Eagle and his ‘Rent party extension’ EP, so it was pretty exciting to hear this new release and re-discover his brand of smart, fully aware rap. The six track release is home to some really tight joints, Mikes flow is brilliant as per usual and there is some sweet sampling afoot, particularly the third track ‘Raps For When It’s Just You And The Abyss’ which features the chorus of a ‘Broken Social Scene’ tune. The final sign off track entitled ‘Ziggy Starfish (Anti-Anxiety Rap)’ was produced by Gold Panda and features his signature glitchy beats and token excitable energy…very cool. Unfortunately we slept on his full length record ‘Dark Comedy’ released last year (Yeah…I was a new Mama and blogging didn’t happen so much!) but you can check out that wicked release, home to more of the same conscious greatness as the new EP over – HERE! Buy the latest EP – HERE! L.A BASED SPITTER BUSDRIVER RELEASES NEW ALBUM ‘PERFECT HAIR’ AND SOME KILLER SUPPORTING SINGLE VIDEOS. MOTION LINES IS THE FIFTH SINGLE FROM THE NEW LP ‘PERFECT HAIR’, BUSDRIVER’S NINTH SOLO ALBUM WHICH DROPPED IN SEPTEMBER, ON BIG DADA RECORDS. 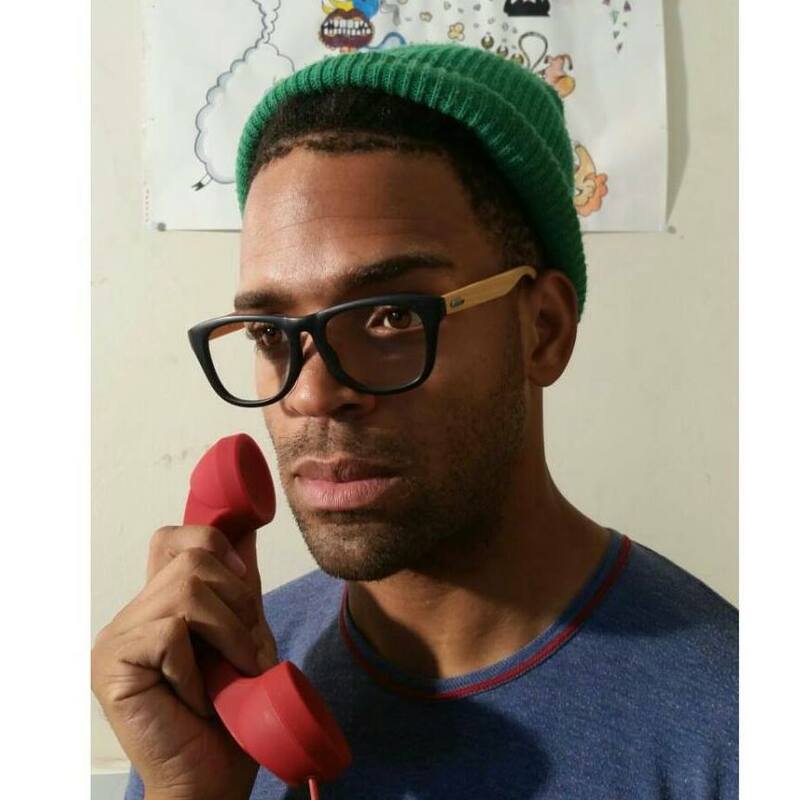 THE NEW SINGLE IS A WIRED TRACK THAT’S A LITTLE SPECIAL AS WE GET TO HEAR BUSDRIVER EXERCISE HIS VOCAL CHOPS AND THIS FELLA HAS A SMOKING VOICE! ‘MOTION LINES’ IS AS CLOSE TO AN R&B FLAVORED TRACK AS YOU’RE EVER GOING TO GET FROM THIS ARTIST, AND IT IS DEADLY! WITH IT’S SYRUPY SWEET CHORUS, DEEP GROOVES AND HARMONIOUS BACKING VOCALS…THIS IS A JOINT THAT GETS PLEASANTLY STUCK IN YOUR HEAD. 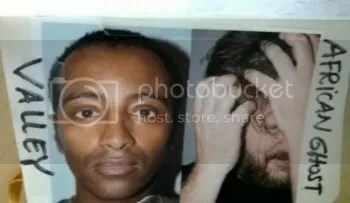 BUY ‘PERFECT HAIR’ LP – HERE! PEEP OTHER SINGLE VIDEOS – HERE! WHAT A NICE SURPRISE IN MY IN-BOX!! ‘THE TALLEST TREE’ ARE A HUSBAND AND WIFE DUO BASED IN DUNDAS ONTARIO, CANADA, WHO CREATE SOME LOVELY 90’S FLAVOURED INDIE-POP. THE ABOVE DIY VIDEO IS FOR THEIR SECOND SINGLE ‘I’LL BE YOUR (FOR YOU)’, A SENTIMENTAL SING-ALONG LOVE SONG….SUPER SWEETNESS! NOT SURE WHAT THESE TWO ARE UP TO IN REGARDS TO RECORDING A FULL LENGTH BUT REST ASSURED I’LL BE ONE OF THE FIRST TO BRING YOU NEWS OF IT! 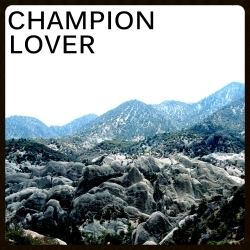 CHAMPION LOVER’S DEBUT TAKES US ON A KILLER INDIE ROCK TRIP! CHAMPION LOVER’S DEBUT SELF TITLED RECORD IS NOTHING SHORT OF A JOYOUS ROLLICKING FOR YOUR LUG HOLES! IF YOU’RE INTO INDIE ROCK WITH A SMATTERING OF GRUNGE AND GARAGE VIBES, THIS 10 TRACK RECORD IS NOT TO BE MISSED. SUPER HAPPY TO HEAR SUCH GREAT MUSIC COMING OUT OF TORONTO…BET THESE LADS ARE BRILLIANT LIVE…SERIOUSLY THE ALBUM IS A ROLLERCOASTER RIDE OF DRIVEN TRACKS THAT SLAM RIGHT INTO EACH OTHER ONE AFTER ANOTHER….DEADLY ENERGY! MONTREAL’S YELLOW JACKET AVENGER RELEASES FULL LENGTH RECORD AND VIDEO FOR THE SINGLE ‘GRAVITY’. WE’VE BEEN FOLLOWING ‘YELLOW JACKET AVENGER’ FOR THE PAST DECADE OR SO AND DURING THAT TIME HE HAS INDEPENDENTLY RELEASED AN UNBELIEVABLE AMOUNT OF MATERIAL, ALBUMS, SINGLES, COVERS…HIS BRAND OF EXPERIMENTAL RAW POP-ROCK, FEATURING HIS UNIQUE WARBLING VOCALS IS SUPER REFRESHING…AND YET UNDERSTATED. THIS FELLA TENDS TO PUT RECORDS OUT WITHOUT A SONG AND DANCE, AND AS SUCH, NOT MANY PEOPLE HAVE HAD THE LUCK TO HEAR OF HIM… TIME FOR THIS TO CHANGE! ORIGINALLY FROM OTTAWA HE NOW CALLS MONTREAL HOME…HE TENDS TO TOUR OFTEN ON THE EAST COAST OF CANADA SO CHECK THE LINKS ABOVE FOR UPCOMING DATES IF YOU’RE IN THAT AREA. LAST YEAR HE RELEASED A NINE TRACK LP CALLED ‘BRANDEN TOWN’ (CHECK VIDEO’S BELOW) AND AS OF APRIL RELEASED ANOTHER BRILLIANT OPUS CONSISTING OF 20 TRACKS RECORDED BETWEEN 2002-2003 IN HALIFAX….THE RECORD IS CALLED ‘BLOOMFIELD’ AND IT IS A TRULY GREAT RELEASE…SERIOUSLY, WHY DON’T MORE PEOPLE KNOW WHO THIS GUY IS? !